Festival Keraton Nusantara started from Java Royal Festival held in Solo in 1992. This activity was later developed into Festival Keraton Nusantara (FKN). FKN was first held in 1995 in Yogyakarta. Every year, the Festival Keraton Nusantara (FKN) is held in different places. 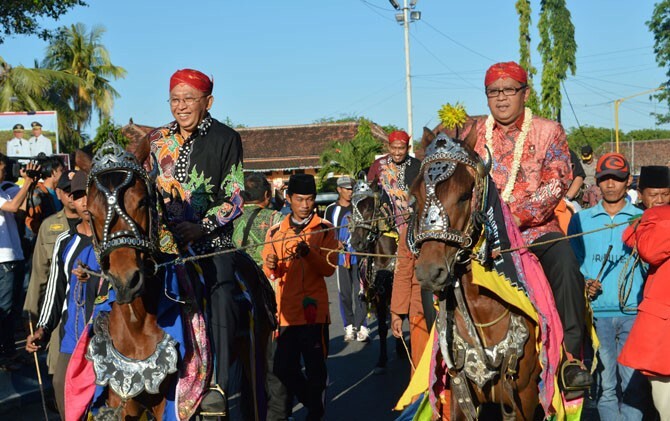 The festival will bring together at least 43 kings / sultans and representatives of empires / sultanates from various regions of Indonesia, or diversity issues are the main focus. The palace as a source of culture has given birth to noble works of art as a reflection of the nation's cultural identity and is a potential national asset in the field of tourism as well as a media of cultural preservation and promotion of Indonesian tourism.